This is MR3, it’s a R&D prototype I’m working on to build a platform for a surveillance robot. 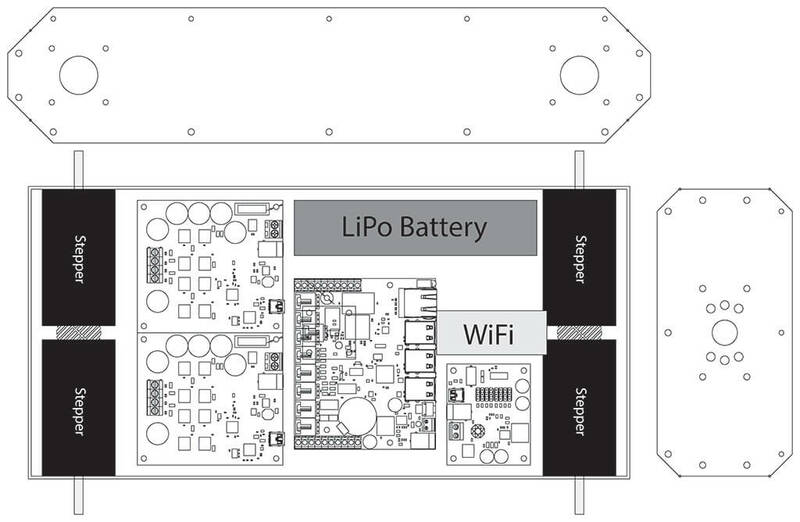 MR3 is using 4 high torque stepper motors with a total of 72 kg·cm of torque, this is a lot for a mobile robot. 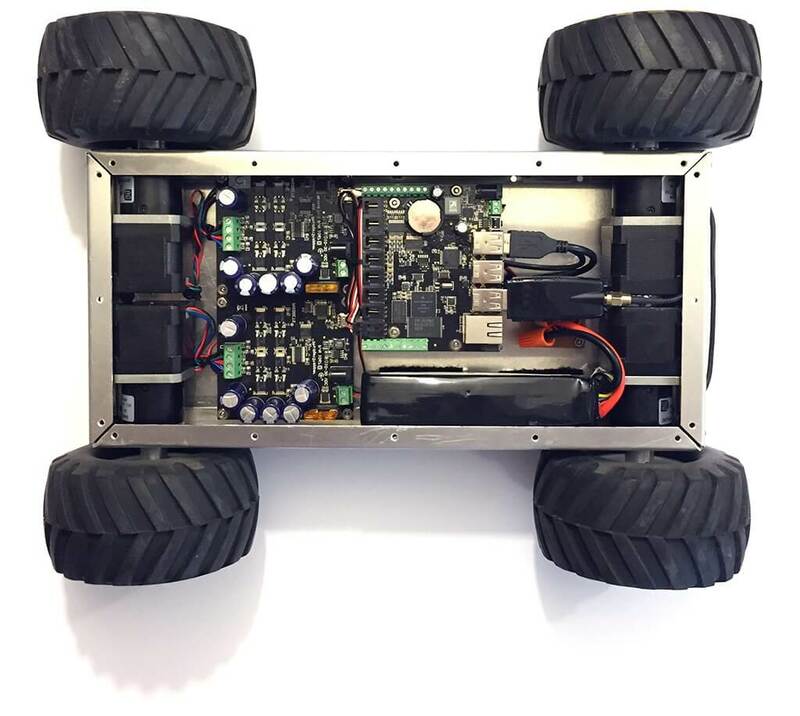 MR3 is using 4 high torque stepper motors with 18 kg·cm of torque at low speeds per wheel. It has so much torque that it can lift itself on a wall and flip over. I designer MR3 to work on any side, so it’s very cool to look it drive around. I will add videos later on. MR4 is already designer with a more advanced body with 6 wheels , but haven’t got the time to cut the parts on the CNC. So I’m putting it here to show. An interesting thing about using geared steeper motors, is that they can turn very slow, and I mean VERY slow. MR3 can climb a a steep slope by rolling so slowly that it just go forward, no vibration, like a clock movement. And on the other hand, at full speed it act like a 4×4 truck and can go over rocks, woods and drop 3 feet then continue rolling. MR3 run like a tank, I control the direction of the left and right wheels. It can turn on himself by inverting direction of the left and right wheel, or small or large curve by slowing down one side of the wheels. 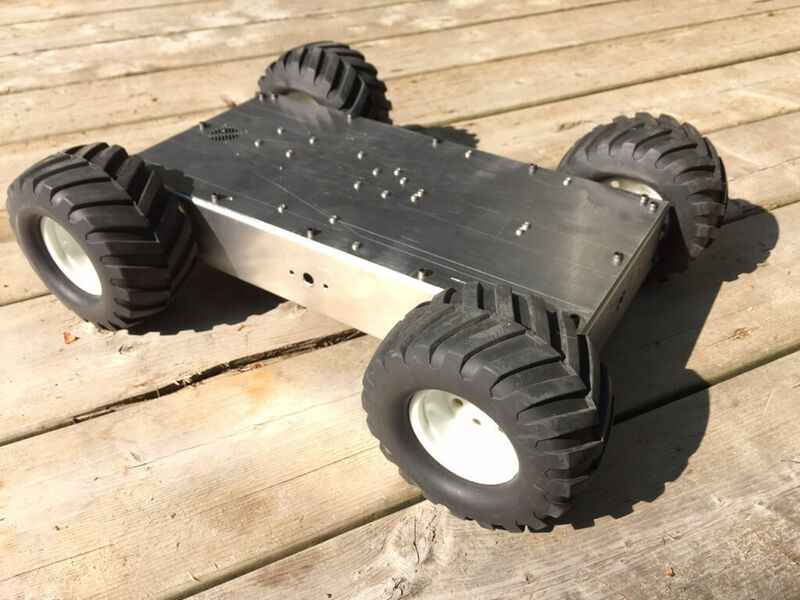 We use Phidgets controllers to drive the Mobile Robot. 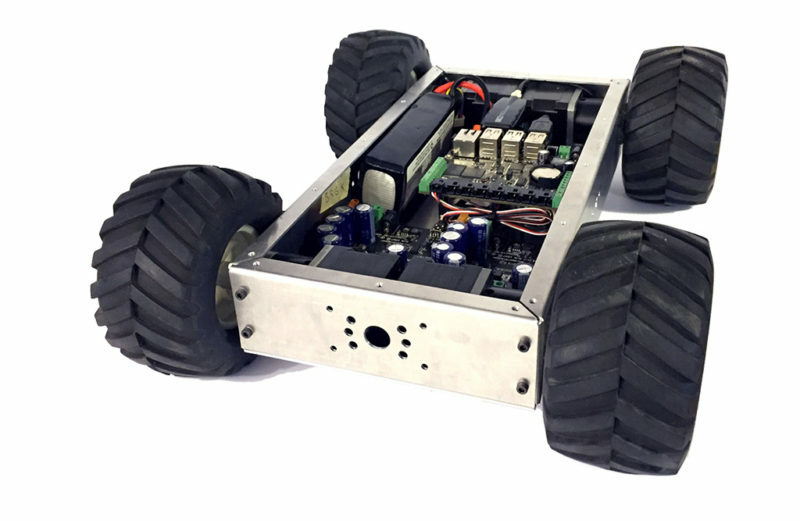 MR3 is remotely controlled via Wi-Fi of Ethernet (for local testing) and a software we developed specially for Mobile Robots.